Welcome to Breezy Town Pizza! Use the form below to order for pickup and dine-in service. 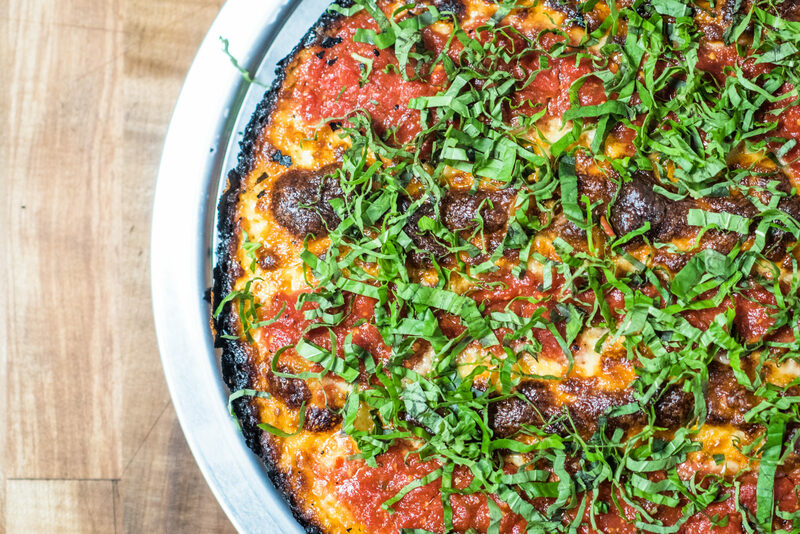 Pan deep-dish pizza takes time to properly bake so we ask orders be placed ahead of time to ensure you're not waiting for your pizza. Delivery is currently handled via Caviar, subject to a limited menu and higher pricing. There was an error submitting your order. This is generally caused by a bad email address. Please check your information and try again. How and when would you like your order? The previously selected service time has expired. Please slice my pizzas (not recommended) Crust, like any good bread, should be given time to rest after baking. Slicing your pizzas as they come out of the oven also causes the trapped moisture at the top of the pizza to permiate the crust itself. If you do stick with this option, we'd recommend crisping up your slice on a hot skillet, as needed. Submitting order! This can take between 5-15 seconds. Order submitted successfully! Please check your email.